Chocolates make wonderful gifts for friends, clients, staff, birthdays, weddings and celebrations. Order online and send a set of chocolates directly to your friends and loved ones. 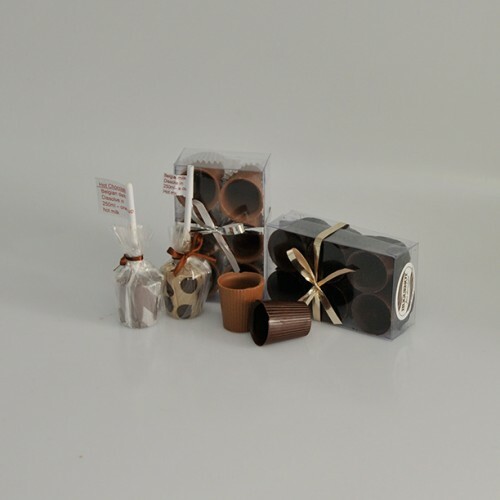 Our Africa Pen Set is made up of the following items:Wildlife pack of two chocolatesWildlife&nb..
Our boutique chocolaterie, in the main street of Franschhoek offers a delicious range of chocolates, made from the finest imported Belgian chocolate. Partners, Danver Windvogel & Denver Adonis are Belgian-qualified chocolatiers. Chocolates are made in view of visitors to the chocolaterie.